There are hundreds of varieties of tomatoes, fruits that are native to the New World. 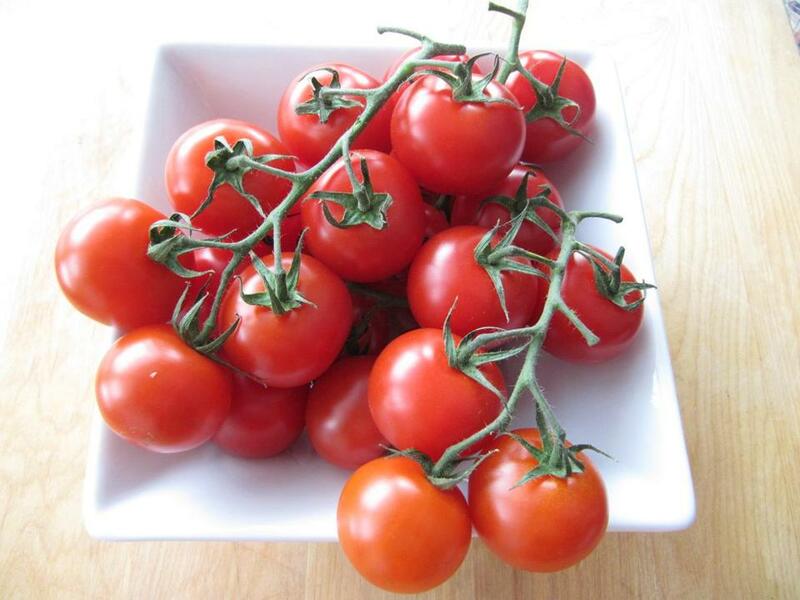 Though we associate many tomato dishes with European cuisines, the bright red rounds were brought to Europe after the Spanish explorers found them in the Americas. A dispute over pricing of Mexican tomatoes reached a tentative agreement last month. Mexican tomato prices are typically lower than American-grown varieties — Florida is one of the largest producers — with the Sunshine State claiming that Mexican tomatoes are priced too low to compete. Because we rely on tomatoes grown outside our area for so much of the year, we wondered how much of a taste difference there is among regions. In our markets, we tend to see tomatoes from Mexico, Florida, Canada, and Maine (those northern growers use greenhouses). At the tasting, we were looking for good tomato flavor (harder to find than you think), a balance between sweet and acid (tasters often called this “sour”), with good texture on the skins. The winner was Backyard Farms of Madison, Maine, where the smallest ones are called “pearl” tomatoes. “Tastes like a summer tomato, sweet and juicy,” said one. The Florida tomatoes didn’t do as well, with complaints like “tasteless” and “tough skins.” Mexico did a bit better: “Light but fresh tomato taste,” and “nice red color,” but many found the skins tough, “like a rhinoceros,” according to one. Hazzard says that the farther a tomato has to travel, the more bruise-resistant it has to be, hence a tougher skin. After the tasting, we tossed all the leftover rounds into a saucepan and sauteed them with leeks and butter. The skins cracked, the seeds popped out, and the tomatoes turned jammy. A quick whir in the blender and we had a creamy tomato soup. It tasted almost like summer.